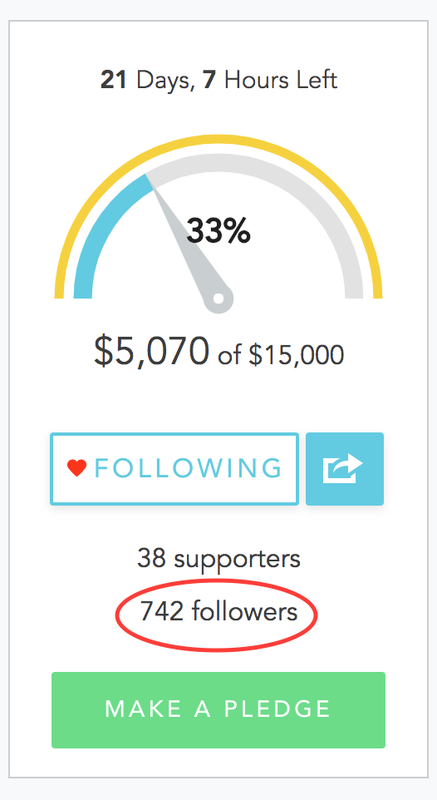 We have less than 24 hours to get enough followers of our Seed&Spark campaign in order to qualify for post financing and get the support of acclaimed filmmakers The Duplass Brothers! 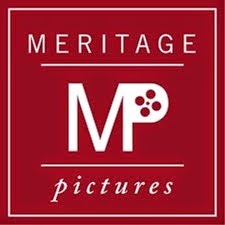 It's free to follow our film and by following you will receive updates about the film and learn how we have been able to bring this beautiful film to life after 27 years of development. I can't stress enough how important it is in indie film to support one another and to never give up! While we are about 400 followers away from qualifying, we will keep trying. You can't get what you want if you don't try. Our New Movie Epiphany - 27 Years in the Making! Please Follow Us on Seed&Spark! I have this knack of producing movies in the dead heat of summer. I don't know why but I find myself in Florida or Georgia or Connecticut or Los Angeles making films when it's over 100 degrees outside. It's brutal but I can't seem to stop. Probably because that's when the film and television industry slows down and small films have a chance at getting actors who are available and secure equipment and locations at a discount etc. Anyway, long story short, I produced another film this past summer in Florida. It's called Epiphany. I really love this story. 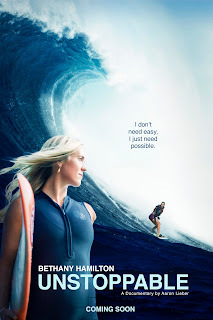 It's about a young girl Luka (played by the super talented Caitlin Carmichael) who wants to reconnect with her biological father - a Greek sponge diver named Theo (played by Australian actor Alex Dimitriades). We also have George Georgiou, Scottie Thompson and Burt Young rounding out the lead cast! So blessed to work with such talented people. And our crew! So amazing. Love them all to pieces. Additionally, late summer/early fall is hurricane season. It just so happened that we filmed in Tarpon Springs, Florida in July and August and wrapped picture three weeks prior to Hurricane Irma - which blew over Tarpon Springs! If we had pushed our shoot one month, we would have had our production smack dab in the path of an oncoming hurricane. 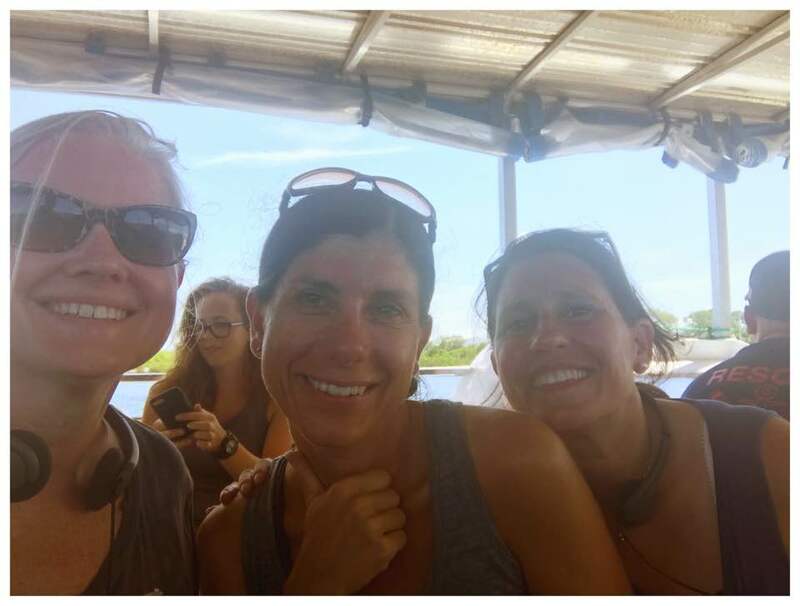 Luckily, we had wrapped in time and Tarpon Springs made it through Irma without too much damage. Our thoughts and prayers are with those who were affected by Irma as well as Harvey and Jose and Maria and the fires in CA and the earthquakes in Mexico. We hope the recovery goes well in all the hard hit areas. The journey of one movie is so amazing to me. It's probably why I love making them. 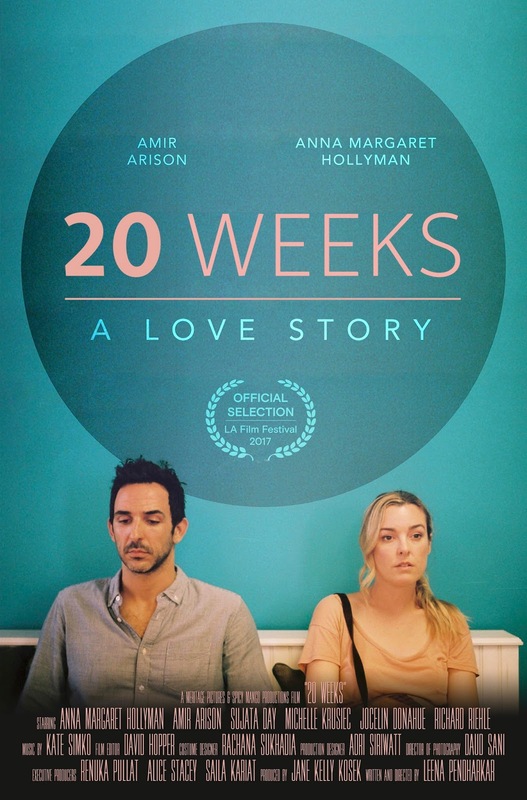 Last year we made a movie titled 20 Weeks about a young couple who finds out their baby in utero may have a genetic issue. The writer/director Leena Pendharkar had the idea and wrote it in less than a year. We went into production six months later and we have already had a World Premiere at the Los Angeles Film Festival in June. We are going on an eight-city festival tour in October/November. That was the fastest I've ever moved on making a movie. And Epiphany is probably the longest gestation period I've experienced for a film - though I really only joined Epiphany officially about two to three years ago. We had a wonderful shoot (despite the heat - haha). And now we are in post production - excited to complete the film with great music and color. And we wanted to get the word out that we have entered a contest on the crowdfunding site Seed&Spark, sponsored by the Duplass Brothers. The winners can pitch the Duplass Brothers and see if they will come on board their film as Executive Producers and have them bring money toward finishing the film - up to $25k. Having the Duplass Brothers executive produce our film and provide us with finishing funds would be incredibly helpful to our small independent feature. 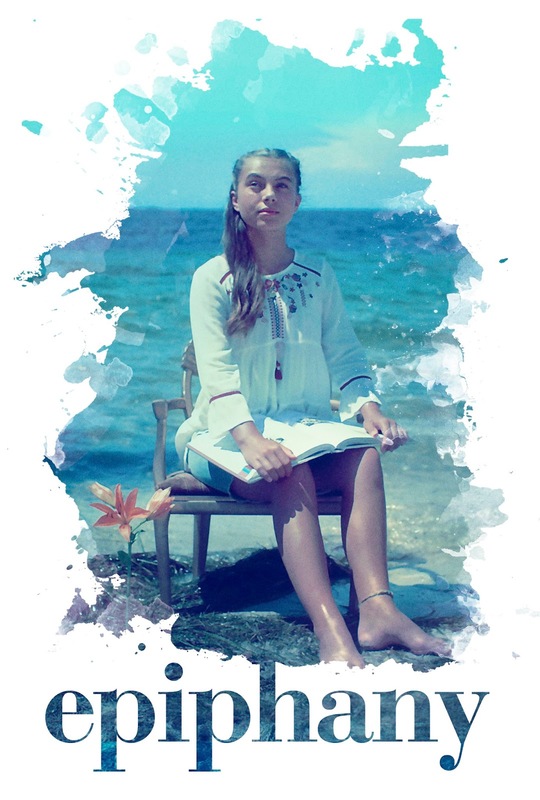 So...I hope I can ask my blog readers to please follow our campaign on Seed&Spark. 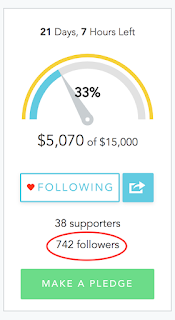 You don't have to contribute any money to follow the campaign and the number of followers on our campaign really does make a big difference. It allows us to get to the finals and get the exposure we need for the film to have a fighting chance. So please click on this link and help us make it to the finals! Thank you! 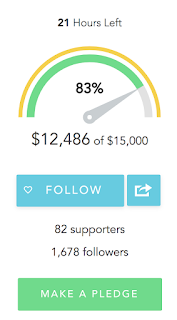 And if you are able to contribute to the campaign, thank you so much! See you at the movies everyone! Much love!! Our New Films 20 Weeks at the Los Angeles Film Festival and Pitching Tents Release and more! 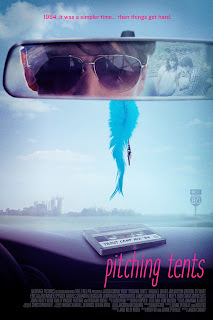 In the summer of 2015, we filmed a coming-of-age teen comedy set in 1984 titled Pitching Tents. I've always wanted to produce a film in the vein of the films by John Hughes, Richard Linklater, and Cameron Crowe. And I felt that the script of Pitching Tents, written by Rob Fox and Jayme Petrille, had a lot of those qualities. It's zany and fun but it has a lot of heart. The story follows Danny (played by Michael Grant) who is graduating high school and doesn't know what to do with the rest of his life. He goes on a camping trip weekend with his friends, where he meets Alison (played by Samantha Basalari), who helps him uncover his true destiny. The film is hilarious and a bit raunchy (with help from comedian Jim Norton who plays our wacky guidance counselor Mr. Mulligan), yet it has a lot of heart (and I'm all about a movie with heart). Since it's set in 1984, I knew we could have fun with the soundtrack and I can say after 9 months of searching and locking in music, we have an amazing 80s soundtrack, including tracks from Run DMC, The Plimsouls, Big Country, Billy Squier, XTC, Red Rockers, Missing Persons, Icicle Works and more! We finished editing Pitching Tents in 2016 and decided to work with the company Quiver on a VOD release and put together our own theatrical run. This was a huge undertaking as well. I always say that 50% of making a film is marketing it and Pitching Tents has proven that philosophy to be very true. We spent about 4 months doing the theatrical. Our director Jacob Cooney and the rest of us spent weeks hitting up theaters and getting the film booked. And after all that grit and perseverance, we played more than 20 cities (including LA and NYC) and for a small indie film that's pretty darn good. We sold out at some screenings and had a ball sharing the film and hearing lots of laughter. What a joy to hear an audience laughing throughout your film! That is what we filmmakers live for! 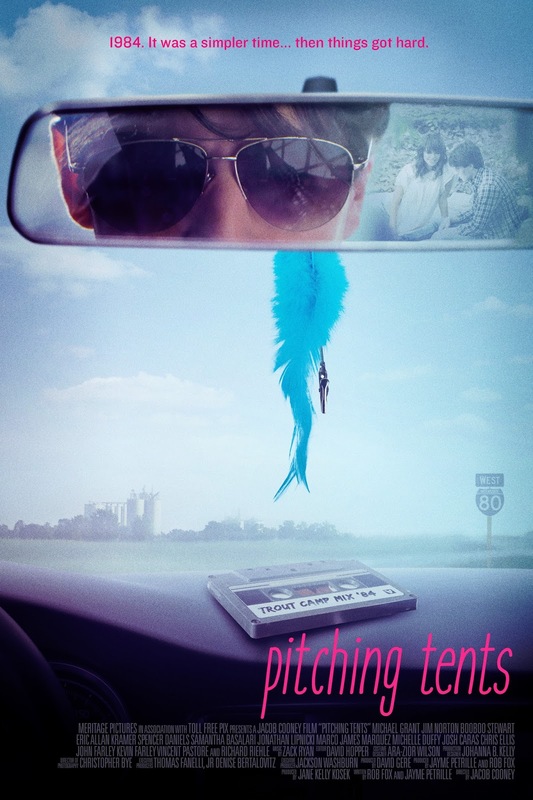 And now, Pitching Tents is available on a number of VOD platforms, including Amazon, iTunes, Google Play, Vudu, DirectTV, Comcast, Vubiquity, Sony Playstation, and it will be released on DVD on August 22nd! We're over the moon about the future of the film. I hope you check it out! CUT TO: my other film 20 Weeks! 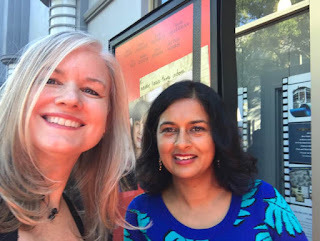 One of my creative collaborators Leena Pendharkar is a very talented writer/director. 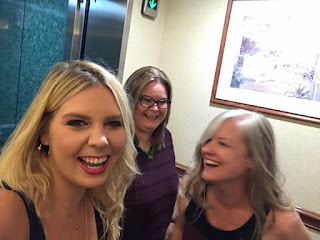 She and I love working together and when she decided to write a script loosely based on her own experience about a young couple who finds out that their baby may have a genetic issue at their 20 week scan, I was on board immediately to produce. Many parents like Leena and her husband go through this scary experience of hearing tough news at the 20 week scan and they're often left to bear the weight of the news alone. They suffer in silence for weeks on end, worrying about their baby's health and being tested on a weekly basis - never really knowing the full extent of their baby's condition. And to add to the uncertainty, there are laws throughout the U.S. that make the journey of figuring out the best path forward even more difficult. 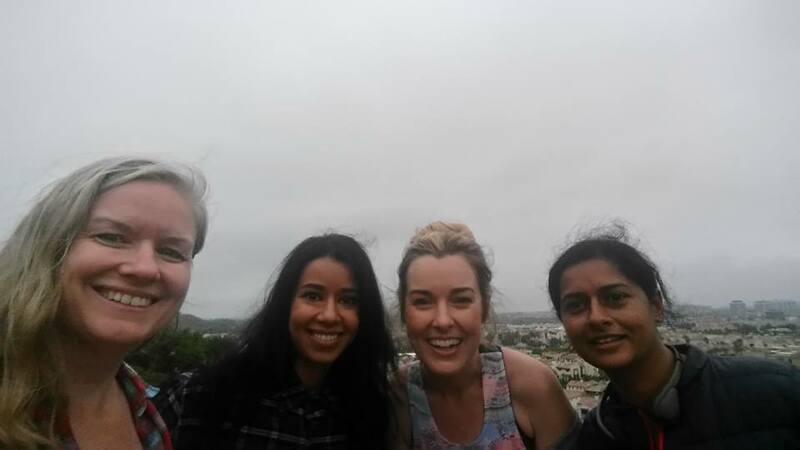 With 20 Weeks, Leena and I wanted to explore the effects genetic testing can have on a family and spark conversations about women's rights and the very personal decision-making process of dealing with a pregnancy in crisis. We made 20 Weeks on a wing and a prayer. 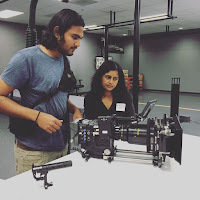 We never knew if we would have enough money or support but miraculously, everything fell into place and we were able to film and complete the film within a year. We took part in the amazing US in Progress program through the American Film Festival in Poland and we are now having our World Premiere screening at the Los Angeles Film Festival on this Monday night June 19th at 7p at the Culver City Arclight. Tickets should still be on sale here! 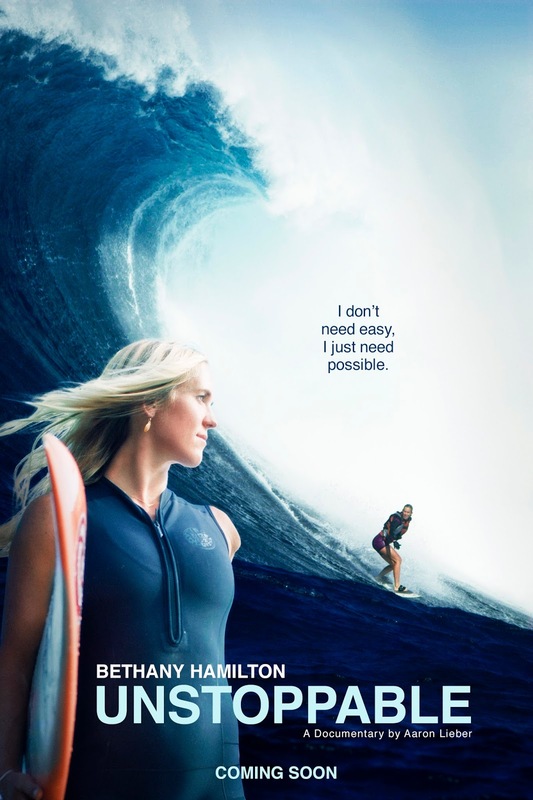 CUT TO: Additionally, I am so honored to be a producer on a new documentary on pro surfer Bethany Hamilton titled Bethany Hamilton: Unstoppable. 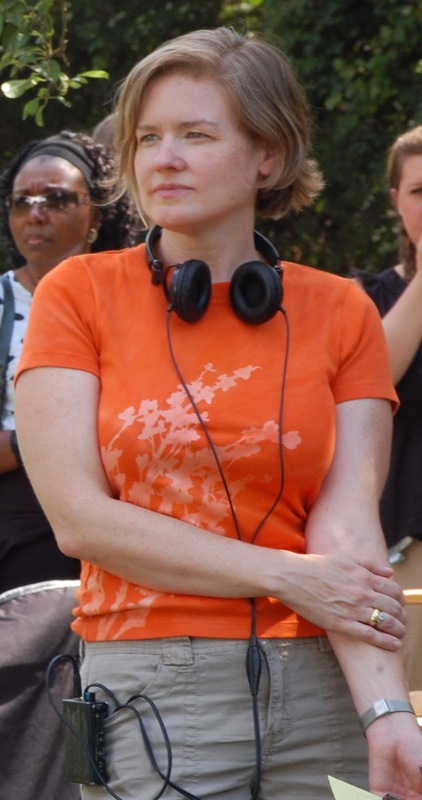 Another producing partner of mine Penny Edmiston and I have been working really hard to find projects that speak to the kinds of films we want to be making - those with strong women at the helm and those about people who inspire. And that is what this documentary is all about. We have been working the past few months in post on this incredible new film by surf cinematographer Aaron Lieber. Bethany is such an inspiration and beautiful person and talented athlete. I can't wait to share her story of all of her amazing accomplishments since her shark attack more than a decade ago. You will be blown away. I am! Love our powerful poster by Hillary Gronvold! 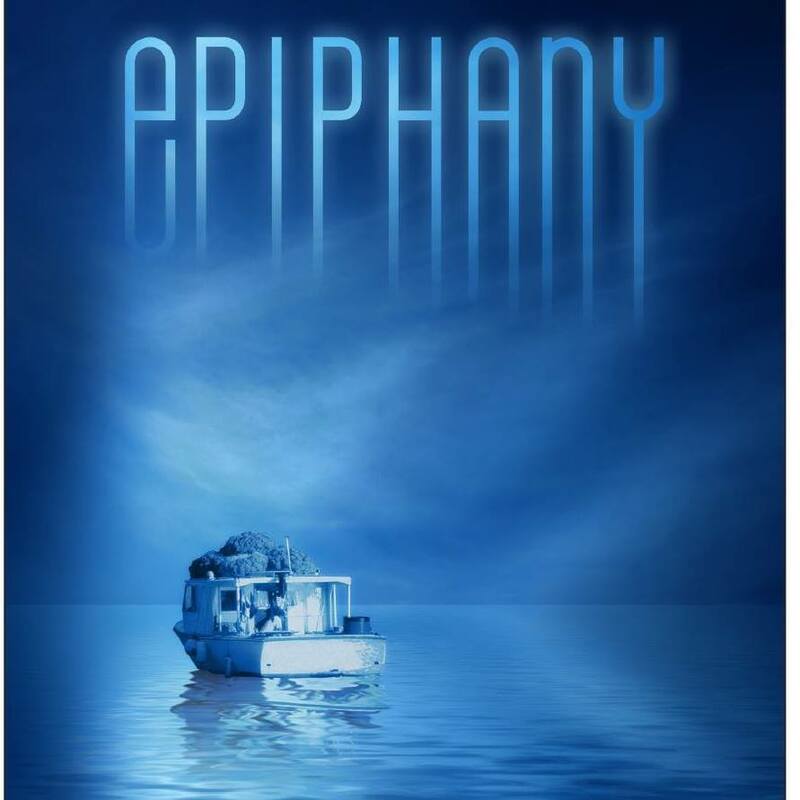 CUT TO: AND I am in pre-production on a beautiful new film titled Epiphany! We start filming next month in Tarpon Springs, Florida. I am really looking forward to this production. It's super ambitious, just like all of my other ultra low budget films. I have a compulsion for taking on the most ambitious films with little to no resources. It may be an illness, I think. But I keep doing it. There's nothing quite like having a gazillion locations and actors on a small budget. But I just love supporting projects by up-and-coming filmmakers who put their heart and soul into their work. I feel compelled to help their visions become a reality. The story of Epiphany, written and to be directed by sisters Koula and Katina Sossiadis, is so beautiful about a young girl who tries to connect with her biological father who is a Greek sponge diver off the coast of Florida. I'm stressed out of course because every film production is hard, with the million things you have to do and think about, but it's important to enjoy the journey along the way. Our New Movie 20 Weeks Begins Production! We are two days into production on our new film! We are filming in Los Angeles and it's awesome to be home making a movie. Though the permit process in LA is intense and most locations require a fee for use, it's nice to be able sleep in my own bed at night. I am producing Leena Pendharkar's new feature film titled 20 Weeks. Leena and I have been creating content together for a few years now (remember our So Natural TV shoots?) and with the support of a number of people such as our executive producer Renuka Pullat, who has been key to making this shoot possible, and those contributing to our 20 Weeks IndieGoGo campaign, we have been able to greenlight Leena's second feature 20 Weeks. In the summer of 2014, as I was pregnant with my second daughter and making my short film, Dandekar Makes a Sandwich, my daughter was diagnosed with a serious issue health issue at the 20 week scan called micrognathia, in which the baby’s chin is undersized. My husband and I were just shocked as it seemed to come out of nowhere. My daughter was born in October of 2014 with a serious but treatable health condition called Pierre Robin Sequence. We didn’t know exactly what her prognosis would be when she was in utero, but the doctors had given us a range from not being able to breathe at all and having to wear tubes in her neck for two years, to something as mild as not being able to breastfeed. Me and my husband told no one we were going through this, I think we were in shock, and both of us on some level, were hoping it was nothing. We have a three week shoot and we already have our editor David Hopper working. But we need your help! We need additional financing for our post production and we have 5 days left on our IndieGoGo crowdfunding campaign. We have partnered with the Make-a-Wish Greater Los Angeles on the campaign and every dollar contributed will have a portion going toward a young child's wish. Click on the below widget to be directed to our campaign where you can learn more about the film and contribute toward its creation. Thank you so much for helping us make this important and special film. Me, Sujata, Anna, Leena - Women Making Movies!